Home » WordPress Plugins » Yoast SEO » How can I update my (free) plugin? How can I update my (free) plugin? If you have the premium plugin, please see this article instead. For the health and safety of your site, we recommend creating regular backups of your site and database. This is especially important before installing, updating or removing plugins. Learn more about the benefits of regular backups here. Updating via the updates admin is the quickest way to update all plugins and themes in just a few clicks. We recommending backing up your site before running updates. Add a checkmark for each available Yoast plugin update. On this page, you will see all of the items that your site has identified as needing updated. Scroll down to the Plugins section and put a checkmark next to the Yoast plugins. Updating via the plugin list is a safe and easy alternative to updating via the updates dashboard. We recommending backing up your site before running updates. On the left-hand side, you will see a menu. In that menu, you may see a number next to 'Plugins' in the menu. This indicates the number of updates that are available for your plugins. If you see a number, click on 'Plugins'. Click 'Update now' for the Yoast plugin. 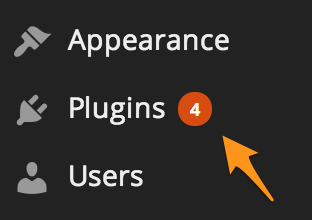 Review the plugin list and look for the plugin update notification. Click 'update now' to begin the update process. Repeat for every plugin with an update notification. If your WordPress admin doesn't show the available update (which might happen due to a failure to communicate with a WordPress server) or if the automatic update doesn't work, you may want to manually update your free plugin by using File Transfer Protocol (FTP) or preferably the secure version, Secure File Transfer Protocol (SFTP). If you do not have this information, please contact your host provider and obtain your host (or IP address), Username, Password, and Port number. We use and recommend FileZilla but any FTP or SFTP program should work, including file managers provided by most web hosts. Now that you have the required stuff, a manual update consists of downloading, unzipping and uploading the plugin files. We recommending backing up your site before running updates. Download the plugin zip to your computer. Go to the website of the free plugin, for example WordPress SEO. Download the plugin files and save them to your computer. Upload the extracted plugin folder to the wp-content/plugins folder in your WordPress directory online. The name of the extracted plugin folder should be equal to the name of the existing plugin-folder online. NOTE: Make sure you overwrite the existing plugin-files.